Chair in Sports Physiotherapy and Director of Sports Injuries Rehabilitation and Prevention for Health (SIRPH) research unit. Bill's scholarship is focused on musculoskeletal health, pain and injury with an emphasis on sport and physical activity, where there is a need for evidence based approaches to rehabilitation and prevention. Since graduating as a physiotherapist in 1980, Bill has worked in musculoskeletal and sports physiotherapy, mainly in private practice. During his time in practice and spurred on through his postgraduate coursework studies in Sports and Musculoskeletal Physiotherapy (1984, 1990) he developed a particular interest in the underpinning evidence for physical therapies – which ones work, why and how? His PhD (2000) focused on mechanisms of spinal manipulative therapy and resulted in publication of an evidenced based theoretical model for this physical treatment. His recent book 'Mobilisation with Movement: The art and the science', which evolved from those early studies, was in the top 10 best sellers at Elsevier Health [Health Professionals Category] in its first year of publication. Lately his clinical research has focused on treatments for overuse injuries (e.g., tennis elbow and patellofemoral pain), with a number of randomized clinical trials attracting NHMRC funding and being published in high impact medical journals (BMJ, Lancet). This research has questioned the common use of steroid injections for tendinopathy and showed how physical treatments provide effective early resolution of the condition. Bill led a recently completed ARC linkage project with the Australian Institute of Sport that improved our understanding of exercise (cross training) and physical therapies such as tape and orthoses on neuromuscular control of the leg and foot. This involved a team of 4 PhD scholars and a post-doctoral industry fellow, with a number of publications in high impact exercise science journals (e.g., Medicine and Science in Sport and Exercise). One of the interesting findings from this work was that cycling prior to running in triathlon leads to impaired muscle control in some athletes and that these are associated with stress injuries of the leg. A specific exercise approach was then shown to mitigate the poor neuromotor control. 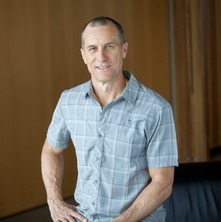 Bill is currently collaborating as a chief investigator on a NHMRC program grant pursuing further the issues pertaining to musculoskeletal pain and injury, which in part is invigorating his drive to understand better the underlying problems in painful tendons. Bill has communicated his findings from his research in 145 peer reviewed journal publications, a book and 26 book chapters and over 300 invited workshops, seminars and conference presentations. He has been supervisor for 21 PhD candidates, 11 of which have graduated. Bill is the co-ordinator for the coursework Master of Sports Physiotherapy program at the University of Queensland and teaches across undergraduate and postgraduate programs in musculoskeletal healthcare, focusing on lower limb and sports physiotherapy. He contributes to the publication of knowledge through service as an Associate Editor for the Journal of Orthopaedic and Sports Physical Therapy and the British Journal of Sports Medicine, Editorial Board member of Physiotherapy Practice and Research, as a member of the International Editorial Panel for Manual Therapy as well as an ad hoc reviewer to a number of medical, sport and rehabilitation journals. He also serves as the UQ Chair of the Medical Research Ethics Committee. Education, night splinting and exercise versus usual care on recovery and conversion to surgery for people awaiting carpal tunnel surgery: a randomised controlled trial. Hing, Wayne, Hall, Toby, Rivett, Darren A., Vicenzino, Bill and Mulligan, Brian The Mulligan Concept of manual therapy: textbook of techniques. Chatswood, NSW, Australia: Elsevier, 2015. Mobilisation with movement: The art and the science. Edited by Bill Vicenzino, Wayne Hing, Darren Rivett and Toby Hall Chatswood, N.S.W., Australia: Churchill Livingstone - Elsevier Australia, 2011. Coombes, B. K., Bisset, L. and Vicenzino, B. (2015). Overview of contemporary issues in practice – The elbow. In Grieve’s Modern Musculoskeletal Physiotherapy 4th ed. (pp. 583-594) Edinburgh, United Kingdom: Elsevier. Hsieh, Chang-Yu J., Vicenzino, Bill, Yang, Chich-Haung, Hu, Ming-Hsia and Yang, Calvin (2011). A chronic case of thumb pain and disability with MRI identified positional fault. In Mobilisation with Movement: The art and the science (pp. 164-168) Chatswood, NSW, Australia: Elsevier Australia. Vicenzino, Bill, Hall, Toby, Hing, Wayne and Rivett, Darren (2011). A new proposed model of the mechanisms of action of Mobilisation with Movement. In Mobilisation with Movement: The art and the science (pp. 75-85) Chatswood, NSW, Australia: Elsevier Australia. Bisset, Leanne and Vicenzino, Bill (2011). A recalcitrant case of aircraft engineer’s elbow. In Mobilisation with Movement: The art and the science (pp. 152-163) Chatswood, NSW, Australia: Elsevier Australia. Bisset, Leanne, Hing, Wayne and Vicenzino, Bill (2011). A systematic review of the efficacy of MWM. In Mobilisation with Movement: The art and the science (pp. 26-63) Chatswood, NSW, Australia: Elsevier Australia. Rivett, Darren, Vicenzino, Bill, Hing, Wayne and Hall, Toby (2011). Introduction. In Bill Vicenzino, Wayne Hing, Darren Rivett and Toby Hall (Ed. ), Mobilisation with Movement: The Art and the Science. (pp. 2-8) Australia: Churchill Livingstone - Elsevier Australia. Teys, Pam and Vicenzino, Bill (2011). Mobilisation with Movement in the management of swimmer’s shoulder. In Mobilisation with Movement: The art and the science (pp. 143-151) Chatswood, NSW, Australia: Elsevier Australia. Vicenzino, Bill, Hing, Wayne, Hall, Toby and Rivett, Darren (2011). Mobilisation with Movement: The art and science of its application. In Mobilisation with Movement: The art and the science (pp. 9-25) Chatswood, NSW, Australia: Elsevier Australia. Hodges, Paul and Vicenzino, Bill (2011). Motor and sensorimotor deficits and likely impact of Mobilisation with Movement. In Mobilisation with Movement: The art and the science (pp. 93-100) Chatswood, NSW, Australia: Elsevier Australia. Hing, Wayne, Hall, Toby, Rivett, Darren and Vicenzino, Bill (2011). Mulligan’s positional fault hypothesis: Definitions, physiology and the evidence. In Mobilisation with Movement: The art and the science (pp. 66-74) Chatswood, NSW, Australia: Elsevier Australia. Sterling, Michele and Vicenzino, Bill (2011). Pain and sensory system impairments that may be amenable to Mobilisation with Movement. In Mobilisation with Movement: The art and the science (pp. 86-92) Chatswood, N.S.W., Australia: Elsevier Australia. Vicenzino, Bill, Hall, Toby, Hing, Wayne and Rivertt, Darren (2011). Technique troubleshooting. In Mobilisation with Movement: The art and the science (pp. 220-222) Chatswood, NSW, Australia: Elsevier Australia. Vicenzino, Bill, Smith, Michelle and Bisset, Leanne (2011). The elbow and forearm complex. In Exercise therapy in the management of musculoskeletal disorders (pp. 113-128) Oxford, United Kingdom: Blackwell Publishing. Vicenzino, Bill, Hall, Toby and O'Brien, Tracey (2011). Two single case studies of lateral ankle sprain in young athletes. In Mobilisation with Movement: The art and the science (pp. 208-217) Chatswood, NSW, Australia: Elsevier Australia. Cook, J. L. and Vicenzino, B. (2009). Exercise for the treatment of tendinopathy. In Kibler, W. B. (Ed. ), OKU4 Orthapaedic Knowledge Update: Sports Medicine 4th ed. (pp. 313-318) Illinois, USA: American Academy of Orthapaedic Surgeons. Vicenzino, B. and Souvlis, T. (2008). Efectos analgesicos de la terapia manual en la columna cervical. In R. T. Cueco (Ed. ), La Columna Cervical:Evaluacion Clinica y Aproximacinoes Terapeuticas Principios anatomicos y funcionales, explorracion clinica y tecnicas de tratamiento (pp. 303-318) Spain: Editoral Medica Panamericana. Vicenzino, B., Souvlis, T. and Sterling, M. (2008). Neurophysiologic Effects of Spinal Manipulation. In Huijbregts, P. A., Fernadez-de-las-penas, C., Arendt-Nielsen, L. and Gerwin, R. D. (Ed. ), Tension-Type and Cervicogenic Headache. Pathophysiology, Diagnosis and Management (pp. 213-220) United State of America: Jones and Bartlett. Webb, Gillian, Skinner, Margot, Jones, Sue, Vicenzino, Bill, Nall, Cathy and Baxter, David (2008). Physiotherapy in the 21st Century. In Joy Higgs, Megan Smith, Gillian Webb, Margot Skinner and Anne Croker (Ed. ), Contexts of Physiotherapy Practice 1st ed. (pp. 1-19) Chatswood, N.S.W. Australia: Churchill Livingstone, Elsevier. Souvlis, T., Vicenzino, B. and Wright. A. (2004). Neurophysiological effect of spinal manual therapy. In Jeffrey D. Boyling and Gwendolen A. Jull (Ed. ), Grieve's Modern Manual Therapy: The Vertebral Column 3rd ed. (pp. 367-380) Edinburgh, United Kingdom: Churchill Livingstone. Vicenzino, Bill, Souvlis, Tina and Wright, Anthony (2002). Musculoskeletal pain. In Jenny Strong, Anita M. Unruh, Anthony Wright and G. David Baxter (Ed. ), Pain: A Textbook for Therapists 1st ed. (pp. 327-349) Edinburgh, United Kingdom: Churchill Livingstone. Strong, Jenny, Sturgess, Jennifer, Unruh, Anita M. and Vicenzino, Bill (2002). Pain assessment and measurement. In Jenny Strong, Anita M. Unruh, Anthony Wright and G. David Baxter (Ed. ), Pain: A Textbook for Therapists 1st ed. (pp. 123-147) Edinburgh, United Kingdom: Churchill Livingstone. Vicenzino, Bill and Wright, Anthony (2002). Physical Treatment. In Jenny Strong, Anita M. Unruh, Anthony Wright and G. David Baxter (Ed. ), Pain: A Textbook for Therapists 1st ed. (pp. 187-206) Edinburgh: Churchill Livingstone. Vicenzino, B.G.T., Dalgleish, M. and Neal, J. (2001). Swing technique change and adjunctive exercises in the treatment of wrist pain in a golfer: A case report. In Patrick R Thomas (Ed. ), Optimising performance in golf (pp. 200-206) Brisbane: Australian Academic Press. Do insertional and mid-portion achilles tendinopathy display different material properties? Response to considerations on "Achilles and patellar tendinopathy display opposite changes in elastic properties." Is immediate comfort while running in cushioned versus minimal footwear related to plantar foot sensitivity? Smith, M. D. and Vicenzino, B. (2017) The international ankle consortium consencus statement on the impact and consequences of ankle sprains. SportsPhysio, . Patellofemoral pain in adolescence and adulthood: same same, but different? Are knee biomechanics different in those with and without patellofemoral osteoarthritis after anterior cruciate ligament reconstruction? Is patellofemoral osteoarthritis common in middle-aged people with chronic patellofemoral pain? Bisset, Leanne, Coombes, Brooke and Vicenzino, Bill (2011) Tennis elbow. Clinical Evidence, 2011 6: 1117. Collins, Natalie, Crossley, Kay, Beller, Elaine, Darnell, Ross, McPoil, Thomas and Vicenzino, Bill (2009) Foot orthoses and physiotherapy in the treatment of patellofemoral pain syndrome: randomised clinical trial (Reprinted from BMJ, vol 337, pg a1735, 2008). British Journal of Sports Medicine, 43 3: 169-U30. Development of a clinical prediction rule to identify initial responders to mobilisation with movement and exercise for lateral epicondylalgia. Do differences in muscle recruitment between novice and elite cyclists reflect different movement patterns or less skilled muscle recruitment? Does cycling effect motor coordination of the leg during running in elite triathletes? Is running less skilled in triathletes than runners matched for running training history? O'Leary, K., Smith, M. and Vicenzino, B. (2008) Manual therapy in ankle management. Sports Physio, 1: 21-23. Vicenzino, B. and Collins, N. (2008) The Clinical Efficacy of Foot Orthoses in the Management of Patellofemoral Pain Syndrome. US Musculoskeletal Review, 3 2: 61-63. Vicenzino, Bill and Bisset, Leanne (2007) Erratum: Physiotherapy for tennis elbow (Evidence-Based Medicine). Evidence-Based Medicine, 12 5: . Vicenzino, Bill, McPoil, Thomas and Buckland, Susan (2007) Plantar foot pressures after the augmented low dye taping technique. Journal of Athletic Training, 42 3: 374-380. Conservative treatments for tennis elbow - do subgroups of patients respond differently? Smith, M., Vicenzino, G. T. and Emmerton, L. M. (2007) Netball knee. Australian Pharmacist, 26 6: 462-464. Do dorsal head contact forces have the potential to identify impairment during graded craniocervical flexor muscle contractions? Do muscle recruitment patterns differ between trained and novice cyclists? Vicenzino, B (2004) Effectiveness of manual physical therapy to the cervical spine in the management of lateral epicondylalgia: A retrospective analysis - Invited commentary. Journal of Orthopaedic & Sports Physical Therapy, 34 11: 722-724. Vicenzino, B, Collins, D, Benson, H and Wright, A (1998) An investigation of the interrelationship between manipulative therapy-induced hypoalgesia and sympathoexcitation. Journal of Manipulative And Physiological Therapeutics, 21 7: 448-453. Tweedy, R., Carson, T. and Vicenzino, B. (1994) Leuko and Nessa ankle braces: Effectiveness before and after exercise. Australian Journal of Science and Medicine in Sport, 26 3-4: 62-66. Riordan, E., Meneses, S., Deveza, L., Duong,, Oo, W. M., Wajon, A., Bennell, K., Vicenzino, B., Hodges, P., Eyles, J., Jongs, R., O'Connell, Rachel, Linklater, J. and Hunter, D. (2018). Association between joint laxity and disease severity in trapeziometacarpal osteoarthritis. In: 2018 Australian Rheumatology Association Annual Scientific Meeting with the Rheumatology Health Professionals Association, Melbourne, Australia, (25-26). 5–8 May 2018. Wyndow, N., Crossley, K., Vicenzino, B., Tucker, K. and Collins, N. (2018). Foot orthoses and footwear in individuals with patellofemoral osteoarthritis: A pilot randomised trial. In: 2018 Australian Rheumatology Association Annual Scientific Meeting with the Rheumatology Health Professionals Association, Melbourne, Australia, (26-26). 5–8 May 2018. Collins, N. J., Neogi, T., Vicenzino, B., Guermazi, A., Roemer, F. W., Lewis, C. E., Torner, J. C., Nevitt, M. C. and Stefanikf, J. J. (2018). Psychological characteristics and pain sensitization in people with symptomatic and MRI features of patellofemoral osteoarthritis: the multicenter osteoarthritis study. In: OARSI World Congress on Osteoarthritis - Promoting Clinical and Basic Research in Osteoarthritis, Liverpool, England, (S59-S59). 26-29 April 2018 . Is Foot Mobility Related to Age in People with Anterior Knee Pain? Collins, N. J., Vicenzino, B. and Crossley, K. M. (2016). Is Foot Mobility Related to Age in People with Anterior Knee Pain?. In: World Congress of the Osteoarthritis-Research-Society-International (OARSI) on Osteoarthritis, Amsterdam Netherlands, (S473-S474). March 31- April 3 2016. A podiatry survey: how do we treat hallux valgus conservatively? Matthews, M., Claus, A. and Vicenzino, B. (2015). Clinical predictors of treatment success for patients with patellofemoral pain: a systematic review. In: Australian Physiotherapy Association, Gold Coast, QLD, Australia, (). 3-6 October 2015. Forearm muscle activity is altered bilaterally in people with unilateral lateral epicondylalgia. Heales, L. J., Vicenzino, B., MacDonald, D. A. and Hodges, P. H (2015). Forearm muscle activity is altered bilaterally in people with unilateral lateral epicondylalgia.. In: Australian Pain Society “Managing pain: From mechanism to policy”, Brisbane, Australia, (). 15th – 18th March 2015. Heales, L. J., Vicenzino, B., MacDonald, D. A. and Hodges, P. H. (2014). An investigation of forearm muscle activity during sub-maximal isometric grip: A comparison of lateral epicondylalgia to healthy controls. In: 2014 SMA NSW Conference of Science and Medicine in Sport, Sydney , Australia, (). 23 August 2014. Osadnik, C., Madrusiak, A., Haines, T., Nitz, J., Chang, A., Yang, I, Low-Choy, N., Jackson, C. and Vicenzino, B. (2014). Anxiety and Depression During Self-Management for Copd - An Exploratory Analysis of a Multicentre Randomized Controlled Trial (Prsm). In: *, *, (101-101). *. Is synergistic organisation of muscle coordination altered in people with lateral epicondylalgia? A case control study. Heales, L. J., Hug, F., MacDonald, D. A., Vicenzino, B. and Hodges, P. H. (2014). Is synergistic organisation of muscle coordination altered in people with lateral epicondylalgia? A case control study.. In: 3rd International Scientific Tendinopathy Symposium, Oxford, United Kingdom, (). 5-6 September 2015. Heales, L. J, Vicenzino, B., MacDonald, D. A. and Hodges, P. H (2014). Redistribution of forearm muscel activity during gripping in people with unilateral lateral epicondylalgia: A case control study. In: 3rd International Scientific Tendinopathy Symposium, Oxford, United Kingdom, (). 5-6 September 2014. Are gait parameters altered in adults with hallux valgus? Does Knee External Rotation Differ According to Frontal Plane Knee Alignment and the Presence of Patellofemoral Osteoarthritis After Anterior Cruciate Ligament Reconstruction? Nix, Sheree, Vicenzino, Bill and Smith, Michelle (2013). Functional outcomes characterising mild, moderate and severe hallux valgus. In: Australasian Podiatry Conference 2013, Sydney, NSW, Australia, (). 2-5 June 2013. MacDonald, D. A., Heales, L. H., Barnard, N., Cox, D., Gliga, A., Kalyanasundaram, S., Mascali, N., Thompson, M. and Vicenzino, B. (2013). Wrist and finger extensor muscle activity during resisted middle and index finger extension in nonsymptomatic people: a repeated measures laboratory study. In: APA Conference 2013: Conference Abstracrs. Australian Physiotherapy Association (APA) National Conference Week, Melbourne, Australia, (76-76). 17-20 October 2013. Does movement variability increase or decrease during acute pain? Bergin, M. J. G., Tucker, K., Vicenzino, B. and Hodges, P. (2012). Does movement variability increase or decrease during acute pain?. In: 14th World Congress on Pain, Milan, Italy, (). 27-31 August 2012. Is there a relationship between foot pain and severity of deformity in hallux valgus? Does repeated application of augmented low-dye taping alter neuromotor control of lower limb gait or foot posture and mobility? Is plyometric training effective for correcting altered running neuromotor control post-cycling in triathletes? Alexander, M., Chapman, A., Dowlan, S., Hahn, A., Hodges, P., Milner, T. and Vicenzino, B. (2009). Cycling impairs neuromuscular control during running in triathletes: Implications for performance, injury and intervention. In: Journal of Science and Medicine in Sport. Asics Conference of Science and Medicine in Sport (ACSMS), Hamilton Island, Queensland, Australia, (S61-S61). 16-18 October, 2008. Does the effect of cadence on muscle recruitment in triathletes reflect less-skilled neuromuscular control relative to cyclists? The Effect of Cadence on Muscle Recruitment in Triathletes: Further Evidence of Less-skilled Movement Control? Blanch, Peter, Chapman, Andrew R., Hodges, Paul W. and Vicenzino, Bill (2007). The Effect of Cadence on Muscle Recruitment in Triathletes: Further Evidence of Less-skilled Movement Control?. In: American College of Sports Medicine Conference, New Orleans, USA, (S479-S480). 30-05-07 - 02-06-07. Do pelvic and lower limb kinematics differ between novice cyclists, elite cyclists and elite triathletes? Vicenzino, B.G.T., Offord, S., Brooksbank, J., Minto, J. and Paungmali, A. (2003). An Evaluation of the initial effects of elbow taping on pain free grip strength and pressure pain threshold in lateral epicondylalgia. In: Darren Rivett and Kathy Refshauge et al, Musculoskeletal Physiotherapy Australia, 13th biennial conference Multi-disciplinary symposium - Neck pain & Whiplash. Best Evidence, Better Care, Darling Harbour Sydney, (74-83). 27-30 November 2003. Paungmali, A. and Vicenzino, B.G.T. (2003). Characteristics of hypoalgesic effect produced by mobilization-with-movement treatment for chronic lateral epicondylalgia. In: Darren Rivett, KathyRefshauge and et al, Musculoskeletal Physiotherapy Australia 13th Biennial Conference. Best Evidence, Better Care, Sydney Conventions Exhibilion Centre, Darling Harbour, (74-74). 27-30 November, 2003. Vicenzino, B.G.T., Brooksbank, M., Minto, J., Offord, S. and Paungmali, A. (2002). Deloading tape for tennis elbow: A pilot study of the effects on grip strength and pressure pain threshold. In: Controversies in Sports Medicine. Sports Medicine Australia 2002 Queensland State Conference, Coolum, Queensland, (). 22-24 March, 2002. Smith, M., Brooker, S., McPoil, T. and Vicenzino, B.G.T. (2002). Diagnostic taping as a predictor of the outcome of orthotic therapy: A single subject design. In: Controversies in Sports Medicine. Sports Medicine Australia 2002 Queensland State Conference, Coolum, Queensland, (). 22-24 March, 2002. Vicenzino, B.G.T., Tran, T., Yang, C. R. and Graham, D. (2002). Preliminary evidence of Mulligan's Mobilisation with movement induced kinesthetic change in recurrent ankle sprains. In: Higgs, J, Refshauge K, Brown M and Wong L, VIIth International Physiotherapy Congress. VIIth International Physiotherapy Congress, Sydney, Australia, (113-113). 25-28 May, 2002. Sterling, M. M., Jull, G. A., Vicenzino, B.G.T. and Murison, R. (2002). The development of motor dysfunction following whiplash injury. In: 10th World Conference on Pain. 10th World Conference on Pain, San Diego, California, (172-172). 17th - 22nd August, 2002. Sterling, M. M., Jull, G. A., Vicenzino, B.G.T. and Murison, R. (2002). Whiplash injury induced change in the pain system: Preliminary analysis of a prospective longitudinal psychophysical study. In: 10th Annual Scientific Meeting of the Australisian Faculty of Rehabilitation Medicine AFRM (RACP). Rehabilitation: A Global Perspective, Sheraton, Brisbane, (43-44). 7-10 May, 2002. Vicenzino, B.G.T. and McDonald, R. (2001). Anteroposterior glide treatment technique applied to the glenohumeral joint improves internal rotation of the shoulder. In: 2001: A Sports Medicine Odyssey Challenges, Controversies & Change. Australian Conference of Science and Medicine in Sport, Burswood International Resort Casino, Perth, WA, (81-81). 23-27 October, 2001. Vicenzino, B.G.T., Jull, G. A., Congram, M. A., Vegter, N. L., Guertin, D. M. and Fleming, H. M. (2001). Cervicogenic headache exercises produce a rapid onset mechanical hypoalgesic effect. In: Musculoskeletal Physiotherapy Australia, 12th Biennial Conference. More than Skin Deep, Adelaide Convention Centre, South Australia, (77-77). 21-24 November, 2001. Constantinou, M. and Vicenzino, B.G.T. (2001). Comparison of a weight bearing and non-weight bearing measure of foot pronation. In: 2001: A Sports Medicine Odyssey Challenges, Controversies & Change. Australian Conference of Science and Medicine in Sport, Burswood International Resort Casino, Perth, WA, (). 23-27 October, 2001. Souvlis, T., Vicenzino, B.G.T. and Wright, A. (2001). Dose of spinal manual therapy influences changes in sympathetic nervous system function. In: Musculoskeletal Physiotherapy Australia, 12th Biennial Conference. More than Skin Deep, Adelaide Convention Centre, South Australia, (46-46). 21-24 November, 2001. Congram, M. A., Jull, G. A., Vicenzino, B.G.T., Vegter, N. L., Ridgway, M. and Fleming, H. M. (2001). Initial mechanical hypoalgesic effect in cervicogenic headache patients following therapeutic exercises. In: Integrating Approaches. 1st International Conference on Movement Disorders, Sheraton Grand Hotel, Edinburgh, (). 21-23 September, 2001. Vicenzino, B.G.T., Souvlis, T. and Wright, A. (2001). Musculoskeletal Pain Syndromes. In: From Science to Practice. 22nd Annual Scientific Meeting of the Australian Pain Society, , (60-60). .
Vicenzino, B.G.T. and Naish, R. (2001). Preliminary evidence of a force threshold required to produce manipulation induced hypoalgesia. In: Musculoskeletal Physiotherapy Australia, 12th Biennial Conference. More than Skin Deep, Adelaide Convention Centre, South Australia, (48-48). 21-24 November, 2001. Vicenzino, B.G.T., Jull, G. A., Congram, M. A., Vegter, N. L., Ridgway, M. and Fleming, H. M. (2001). Preliminary evidence of a rapid onset hypoalgesic effect produced by specific therapeutic exercises in cervicogenic headache sufferers. In: 2001: A Sports Medicine Odyssey Challenges, Controversies & Change. Australian Conference of Science and Medicine in Sport, Burswood International Resort Casino, Perth, WA, (50-50). 23-27 October, 2001. Vicenzino, B.G.T. and Wright, A. (2001). Spinal manipulative therapy for chronic lateral epicondylalgia: A single case study. In: Musculoskeletal Physiotherapy Australia, 12th Biennial Conference. More than Skin Deep, Adelaide Convention Centre, South Australia, (107-107). 21-24 November, 2001. Vicenzino, B.G.T., Prangley, I. and Martin, D. (2001). The initial effect of two Mulligan mobilisation with movement treatment techniques on ankle dorsiflexion. In: 2001: A Sports Medicine Odyssey Challenges, Controversies & Change. Australian Conference of Science and Medicine in Sport, Burswood International Resort Casino, Perth, WA, (). 23-27 October, 2001. Yang, C., Falla, D. and Vicenzino, B.G.T. (2001). Validity of angle measurement using commercial digital camera. In: Musculoskeletal Physiotherapy Australia, 12th Biennial Conference. More than Skin Deep, Adelaide Convention Centre, South Australia, (98-98). 21-24 November, 2001. Constantinou, M., Neal, R. J., Van Rabenau, F., Watson, K. M. and Vicenzino, B. G. T. (2000). A 3D kinematic analysis of the effects of anti-pronation taping on the foot: A pilot study. In: 2000 Pre-Olympic Congress Book of Abstracts. International Congress on Sport Science, Sports Medicine and Physical Education, Brisbane, (88). 7 - 12 Sept 2001. Vicenzino, B. G. T., Wright, A. and Buratowski, S. (2000). A Preliminary Study of the Initial Hypoalgesic Effect of a Mobilisation with Movement Treatment for Lateral Epicondylalgia. In: KP Singer, Proceedings of the 7th Scientific Conference of the IFOMT in conjunction with the MPAA. IFOMT - 2000 Past-Present-Future, , (460-464). 6th - 10th November, 2000. Teys, P., Vicenzino, B. G. T. and Kenney, B. (2000). Effects of talocrural mobilisation on ankle dorsiflexion in normals. In: 2000 Pre-Olympic Congress International Congress on Sport Science Sports Medicine and Physical Education. 2000 Pre-Olympic Congress International Congress on Sport Scin, Brisbane, (464-464). 7-12 September, 2000. Dahl, B., Ibbott, K., Barclay, S., Souvlis, T. and Vicenzino, B. G. T. (2000). Local but not distal mechanical hypoalgesia following thoracic spine mobilisation in hormals. In: IFOMT 2000: 7th Scientific Conference of the International Federation of Orthopaedic Manipulative Therapists in conjunction with the 11th Biennial Conference of the Manipulative Physiotherapists Association of Australia. 7th Scientific Conference of the IFOMT, Perth, (102-102). 6-10 November, 2000. Vicenzino, B. G. T., O'Callaghan, J., Kermode, F. and Wright, A. (2000). No Influence of Naloxone on the Initial Hypoalgesic Effect of Spinal Manual Therapy. In: Marshall Devor, Michael C. Rowbotham and Zsuzsanna Wiesenfeld-Hallin, Progress in Pain Research and Management. Proceedings of the 9th World Congress on Pain, Vienna, (1039-1044). 22-29 Aug1999. Vicenzino, B, Gutschlag, F, Collins, D and Wright, A (1995). An investigation of the effects of spinal manual therapy on forequarter pressure and thermal pain thresholds and sympathetic nervous system activity in asymptomatic subjects: A preliminary report. In: Shacklock, MO, Moving in On Pain. Moving in on Pain Conference, Adelaide Australia, (185-193). Apr 18-21, 1995. Wright, A and Vicenzino, B (1995). Cervical mobilisation techniques, sympathetic nervous system effects and their relationship to analgesia. In: Shacklock, MO, Moving in On Pain. Moving in on Pain Conference, Adelaide Australia, (164-173). Apr 18-21, 1995. Vicenzino, Bill Tarcisio (1999). Physiological correlates of manipulation induced hypoalgesia PhD Thesis, School of Health & Rehabilitation Sciences, The University of Queensland. A randomised control trial comparing Foot Orthoses to Hip eXercises (FOHX trial) in patellofemoral pain: Does mid-foot mobility predict success to intervention with foot orthoses? Clinical efficacy and physiological mechanisms of nerve and tendon gliding exercises for carpal tunnel syndrome. Respiratory rehabilitation or self management for Chronic Obstructive Pulmonary Disease: what is the best management approach? Physiotherapy of the injured ankle: An evaluation of outcome measures and a pilot randomised clinical trial of a rehabilitation program. Corticosteroid injections and physiotherapy for lateral epicondylalgia: Clinical efficacy and prognostic factors. Understanding carpal tunnel syndrome and its non-surgical management.